Pickford carries a complete selection of heat exchanger tube removal equipment. 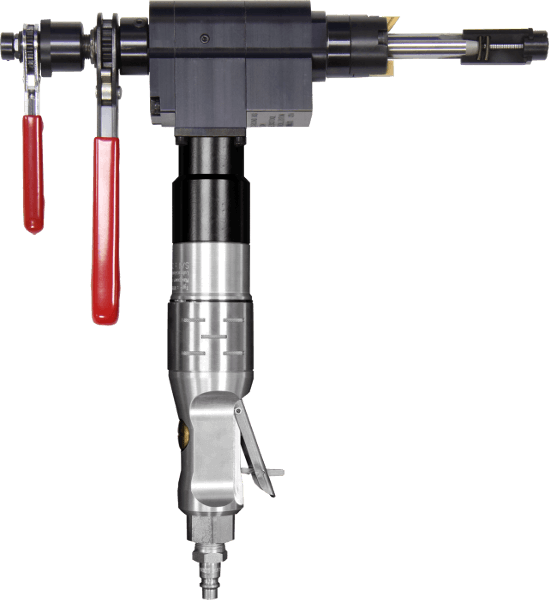 From weld removal to bundle cutters to tube pulling equipment, we have tools to do it all. Contact us today for assistance with your project. 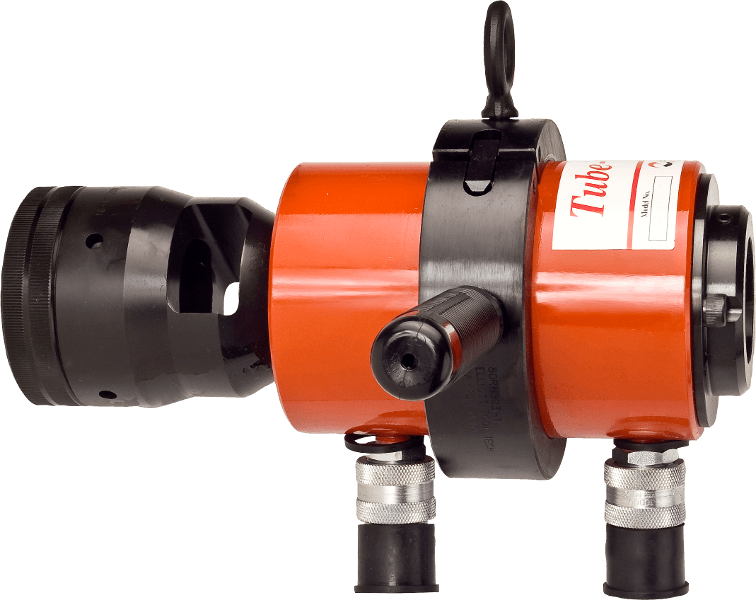 Elliott-Tool Tube Tugger and Super Tube Tugger are continuous hydraulic tube pulling systems for removing heat exchanger tubes. ESCO Tool Ground MILLHOG mounts from 0.5" ID to 2.155" ID to remove tube to tubesheet weld in heat exchangers and boilers. 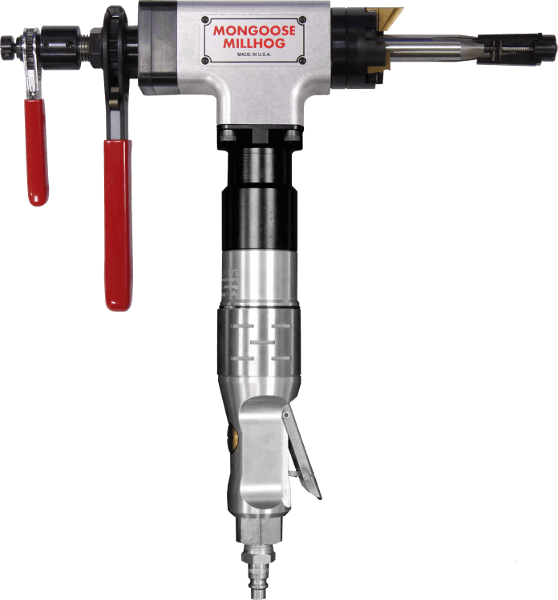 ESCO Tool Mongoose MILLHOG mounts from 0.625" to 2.900" ID to remove tube to tubesheet weld in heat exchangers and boilers. 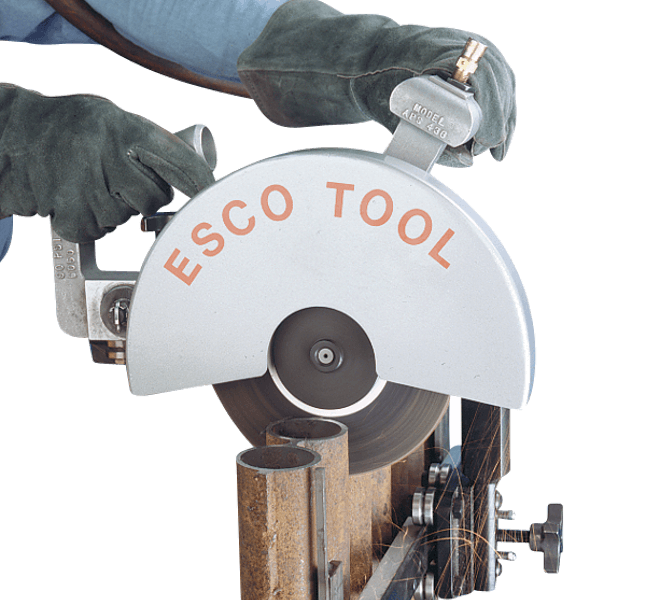 ESCO Tool MILLHOG® Air Powered Saw uses an abrasive cutting blade to cut tubes, pipes, tanks, or water walls. Available in Standard, Low Profile, and Low Radial Clearance designs. Various mounting brackets and tracks are available. Pickford sells and rents selected heat exchanger tube removal equipment to all of Western Canada including Manitoba, Saskatchewan, Alberta, and British Columbia from our 40,000 sq.ft. Edmonton warehouse.